Use QR codes to direct parents to your website or other important information. QRStuff and Unitag are great QR code generators. Take it a step further with the Aurasma app. You can use augmented reality to link pictures to video. For a demonstration, scan this picture with the Aurasma app. For more information on how to use Aurasma, click here. Click here for 13 ideas on how to use technology to get to know your students. Use Padlet, Lino, or Popplet to create virutal bulletin boards. 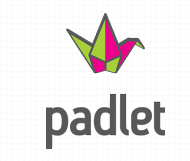 Padlet and Lino are websites, and Popplet is an app on student iPads. Use a badge system to reward positive behavior, good effort, and anything else. Design your own badges with Credly and send them to students. Click here to go to the website.